Photos from the consecration of Mount Calvary Church and the main altar, by Bishop Steven Lopes. 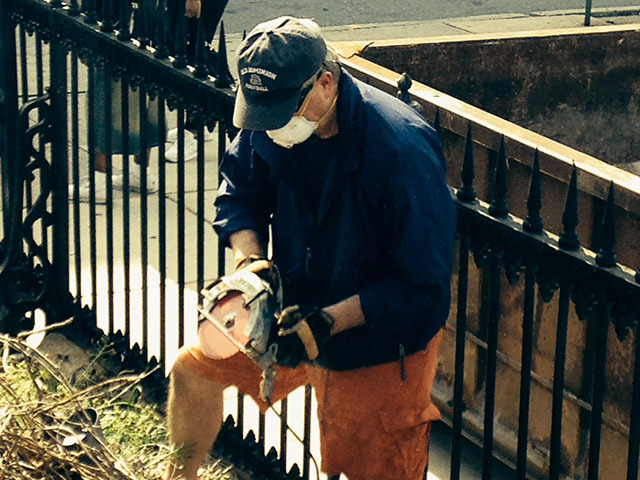 Photos from our parish work day, May 17, 2014. Weeding, cutting out dead ivy, and planting new periwinkle. See photos from our Solemn High Mass of Christ the King, celebrated by Fr. James Bradley of the Personal Ordinariate of Our lady of Walsingham. See highlights of our Solemn High Mass for Michaelmas - the First Mass for Fr Albert Scharbach, a newly ordained priest of the Personal Ordinariate of the Chair of St Peter! 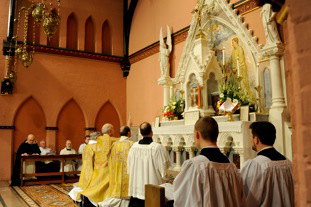 See highlights of our Solemn High Mass for Michaelmas and the final Mass for Fr. Anthony Vidal before his departure for Corpus Christi, Texas. 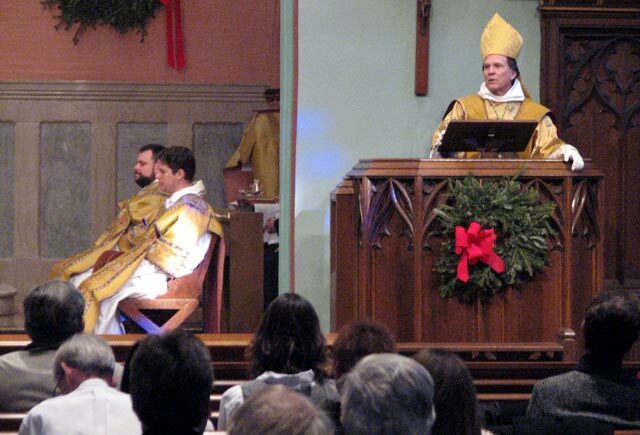 The Ordinary of the Personal Ordinariate of the Chair of St Peter visited Mount Calvary Church on May 12, 2013. Members of Mount Calvary celebrate Corpus Christi with a sung mass and procession. Fr. Reamsnyder and Fr. Vidal are ordained to the priesthood. Fr. Reamsnyder and Fr. Vidal are ordained deacons at the Basilica of the National Shrine of the Immaculate Conception. 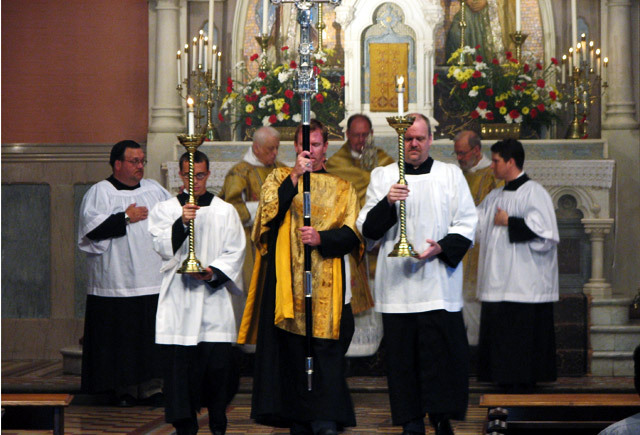 Members of Mount Calvary celebrate their first solemn high mass as Catholics. 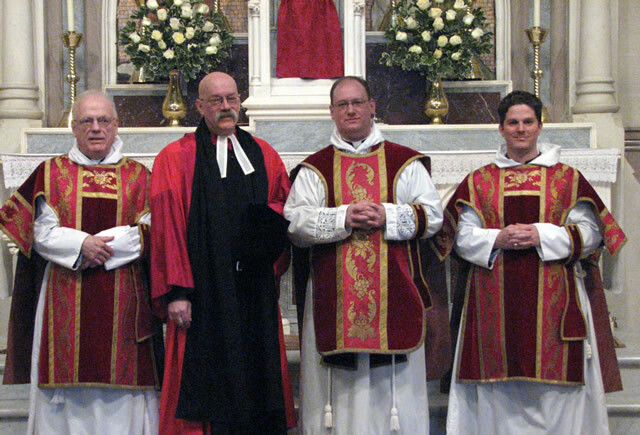 Mount Calvary was received into the Catholic Church on January 22, 2012. 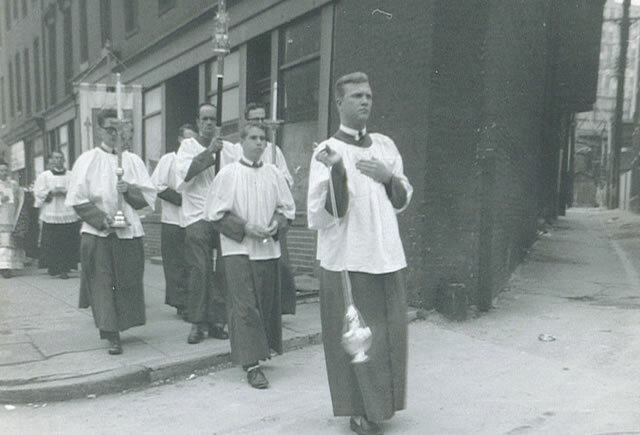 Mount Calvary celebrated Corpus Christi with a procession through the neighborhood. 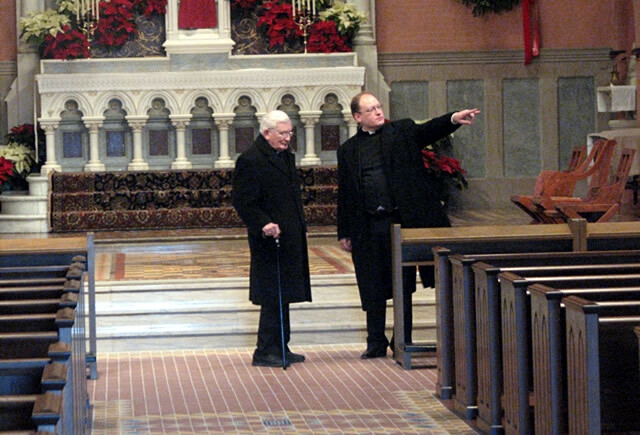 Mount Calvary was pleased to welcome a very special guest, William Cardinal Keeler. Just a selection of random photos taken around the parish.